Dr Yonela Zifikile Njisane is a Postdoctoral Research Fellow hosted in the Department of Livestock and Pasture Science, University of Fort Hare; a fellowship funded by the National Research Foundation under the Scarce Skills category. In the Animal Science field, she attained a PhD degree in 2016 and her research focus is on Animal Welfare, as well as linking it with Meat Science. 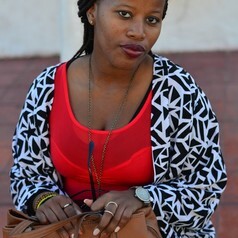 She has served as a Student Tutor, Research Intern, Research assistant; appointed as one of the first SAYAS PhD Bloggers, an Ambassador for the Charlotte Mannya-Maxeke Institute (CMMI) and a CMMI Bring-Her-Up project coordinator, a student representative and Deputy Chairperson of the South African Society for Animal Science (SASAS) Eastern Cape Branch, respectively. She is also a registered member of the national South African Society for Animal Science.